A kind word goes a long way. Celebrate great work within your organization. A regular habit of recognizing employees benefits morale, team culture, and employee development. 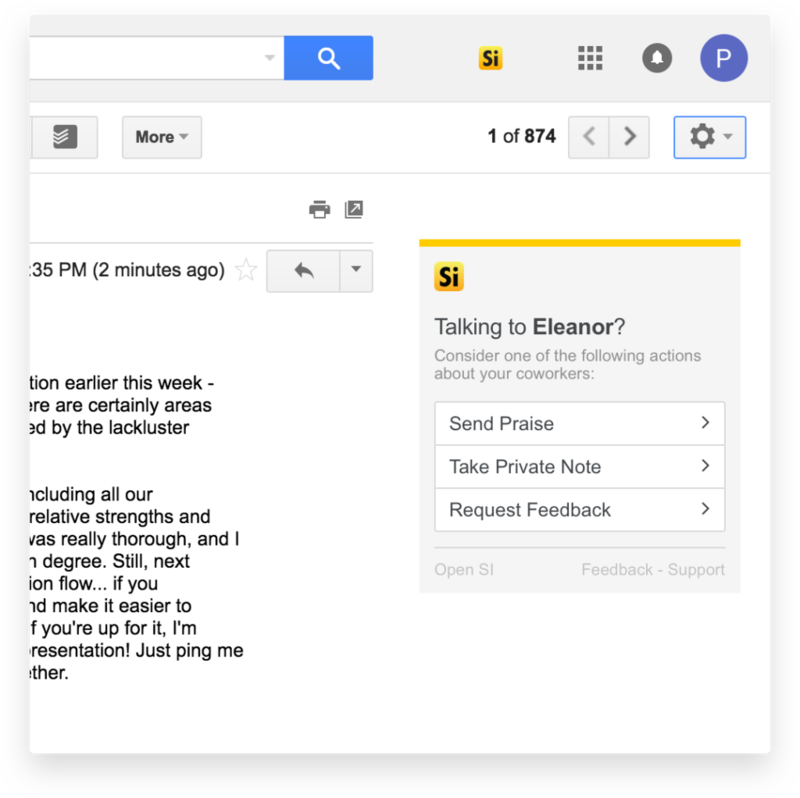 Our Praise feature offers a fun and visual way for employees to give each other positive feedback. Because who doesn’t like a digital pat on the back? Employees can attach visual badges with Praise, making it more personal and fun to recognize one another. Badges are also fully customizable. 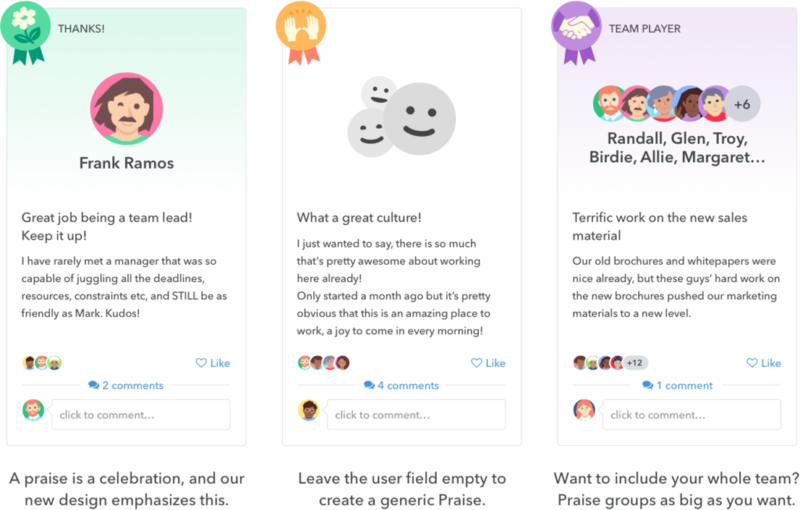 You can easily create your own, for instance, based on your company values to imbed more meaning to Praise. Bring Praise into the real world. Our Praise Wall allows you to display a slideshow of your company’s Praises, so you can celebrate your employees’ achievements where they can see it. By showcasing Praise for instance in the lobby or in the kitchen, our Praise Wall helps to foster a culture of recognition. 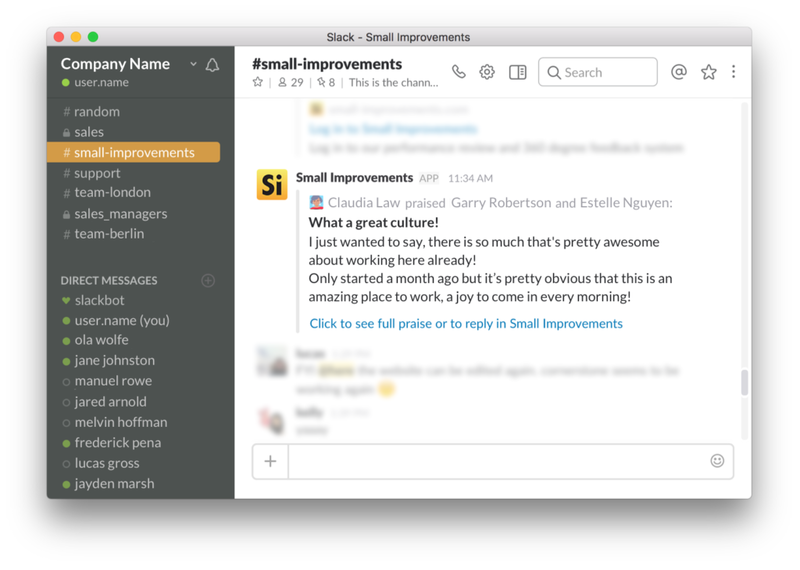 Our Slack integration collects public Praises and posts them within a designated channel, so the entire organization can instantly see who’s being recognized for their efforts. 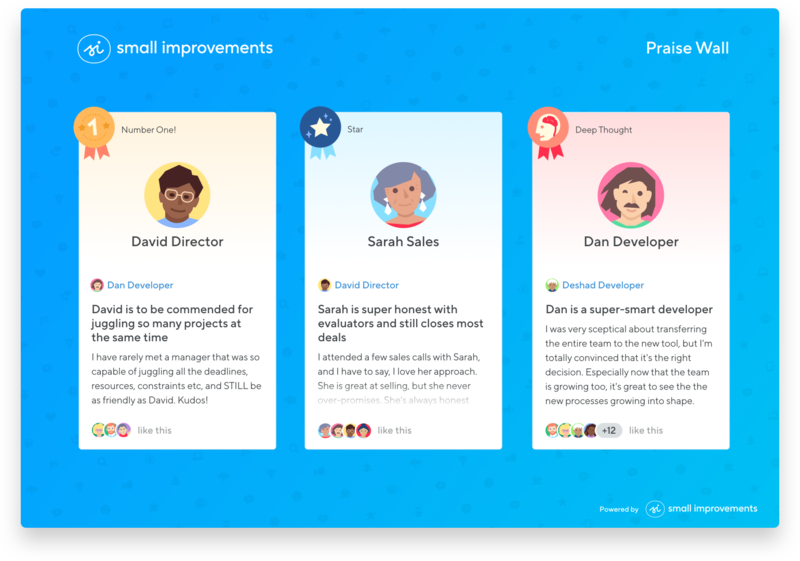 Employees can also create Praises directly from Slack, making it even easier to recognize peers for a job well done. 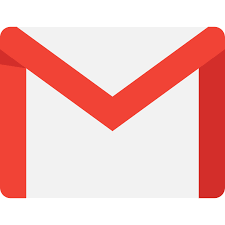 With our Gmail integration, you can easily share Praise from where you spend a lot of your time – your inbox. That way, every “thanks” or kudos is captured in the moment.